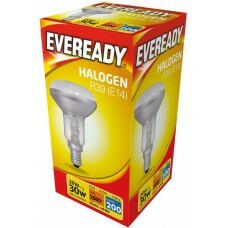 Reflector spotlight low energy saving eco halogen light bulbs. 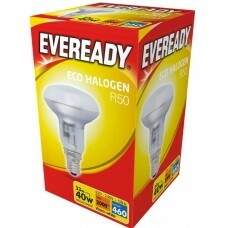 Our halogen reflector lamps (R50, R63 and R80) use 30% less electricity than standard incandescent versions. 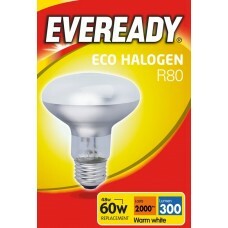 Save energy up to 30% comparing with incandescent lamps. 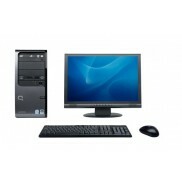 Long Life of 2000h, 2 times longer than incandescent light bulbs. Instant full light and fully dimmable. 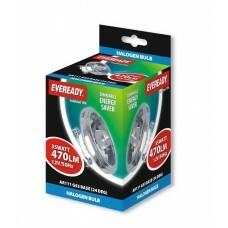 Same shape and size as standard incandescent lamps for direct replacement. 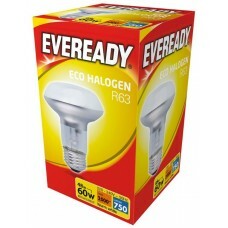 AR111 (G23) 12V - 35W = 50W Dimmable Eco Halogen Light Bulb This is a 12 Volt AR111 - G23 Base l..